Lock out fork prevents bobbing at higher speeds and steep terrain. 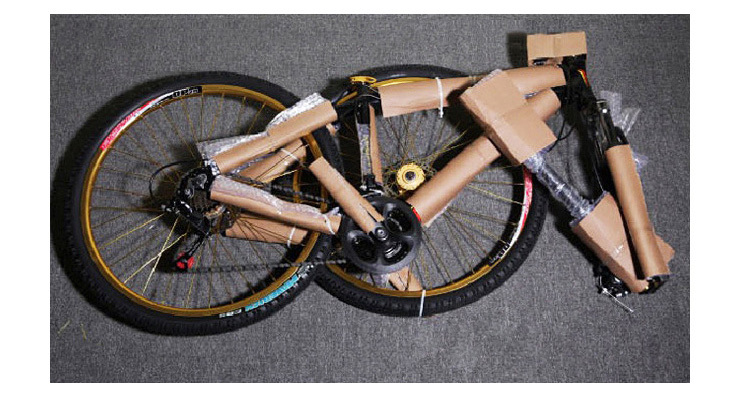 A:Before Getting Started – Please remove all the cardboard protective wrapping from unassembled bike. 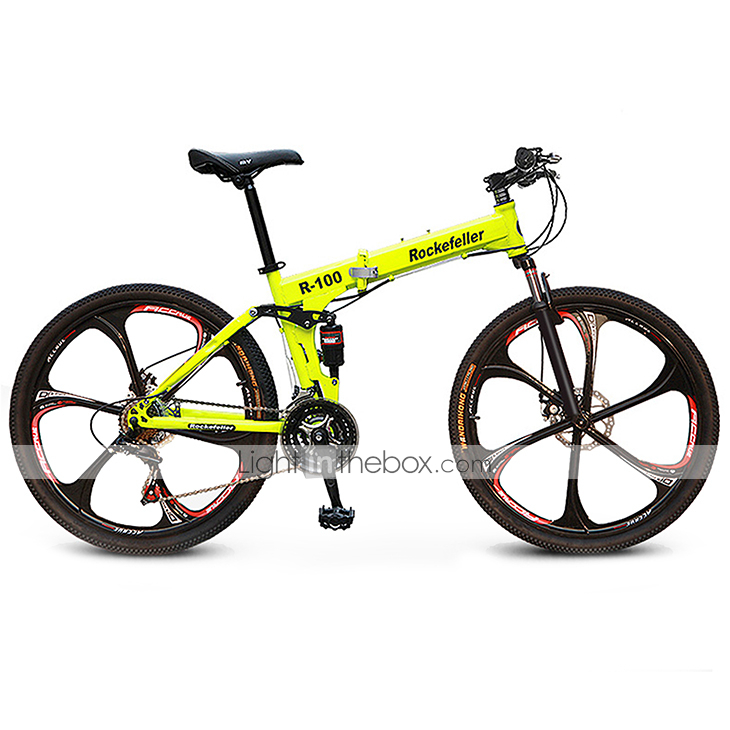 A) Straddle the assembled bicycle with feet shoulder width apart and flat on the ground.There must be at least 2.5cm of clearance between the highest part of the top tube and crotch of the rider with tires fully inflated. B) Tighten the seat clamp bolts of the seat post following the torque specifications for the seat post. Do not over tighten for the hex sockets will strip. 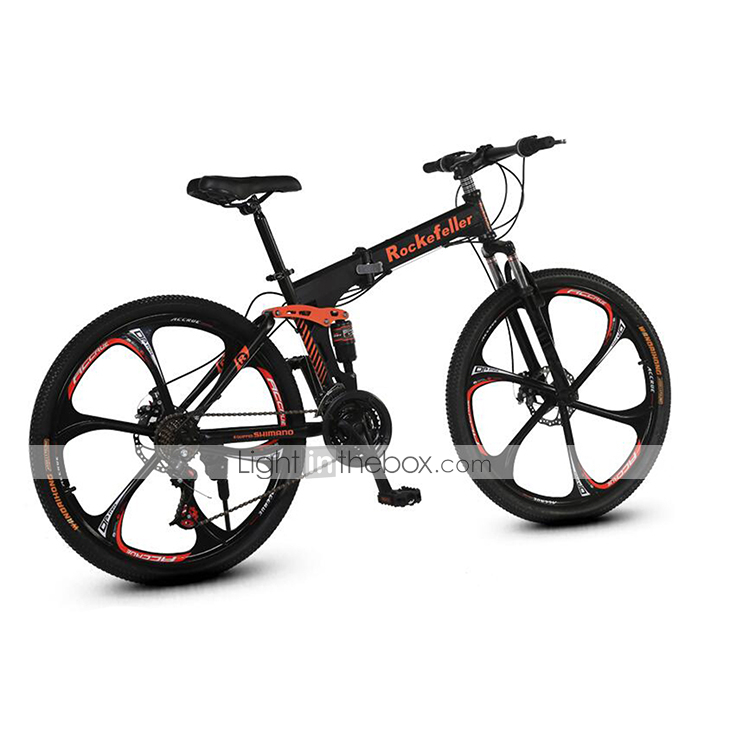 C) Loosen the seat clamp nuts and rotate the Seat into riding position as shown in Image 2. 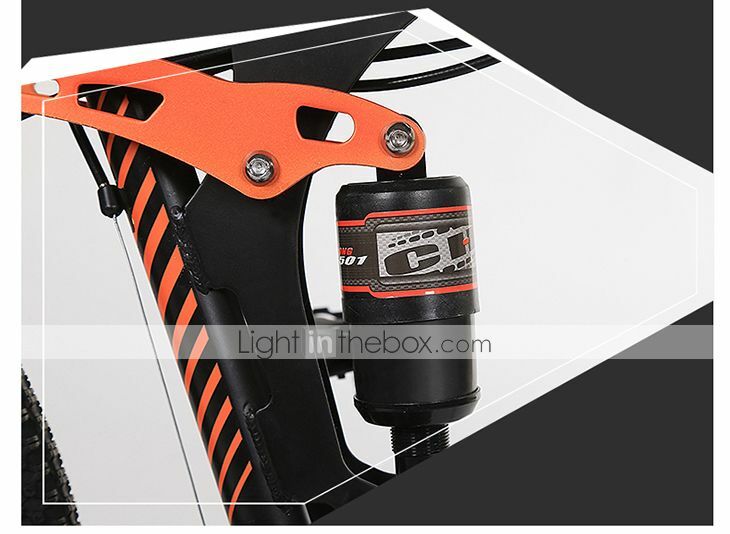 D) Apply a small amount of grease on the seat post.Insert the seat post in the seat tube.Put the seat post fully through the seat clamp as shown in Image 3. 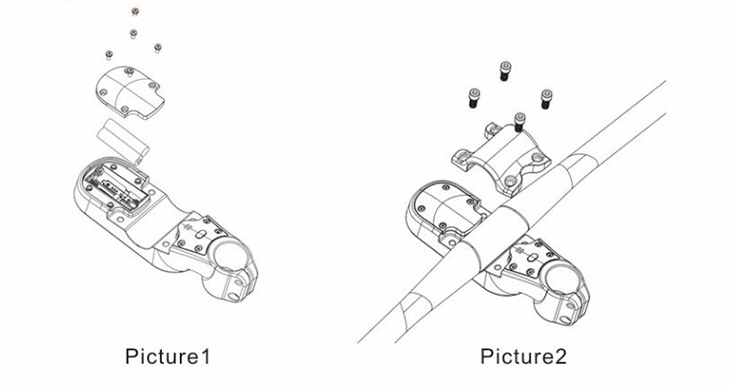 E) Tighten the seat clamp so that the seat is secured in the seat post as shown in image 4. If the seat clamp has a nut on each side, tighten both nuts equally (the pressure must be consistent on both sides). Caution: To prevent the seat from loosening and conceivable cause loss of control, the “MIN-IN” (minimum insertion) mark on the seat post must be below the top of the seat tube as shown in Image 5. A) Unscrew the stem cover with the hex tool. 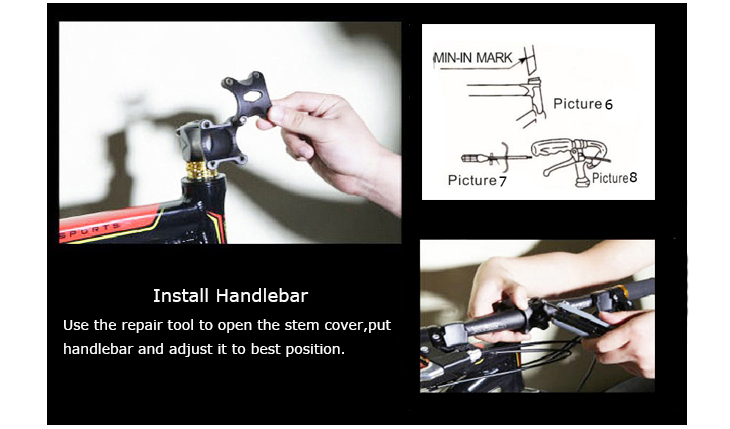 B) Open the stem cover to place the handlebar with the bike handles facing the frame of the bike. Make sure the back gears are on the right side and the front gears are on the left side. Additionally, make sure it is centered before tightening. 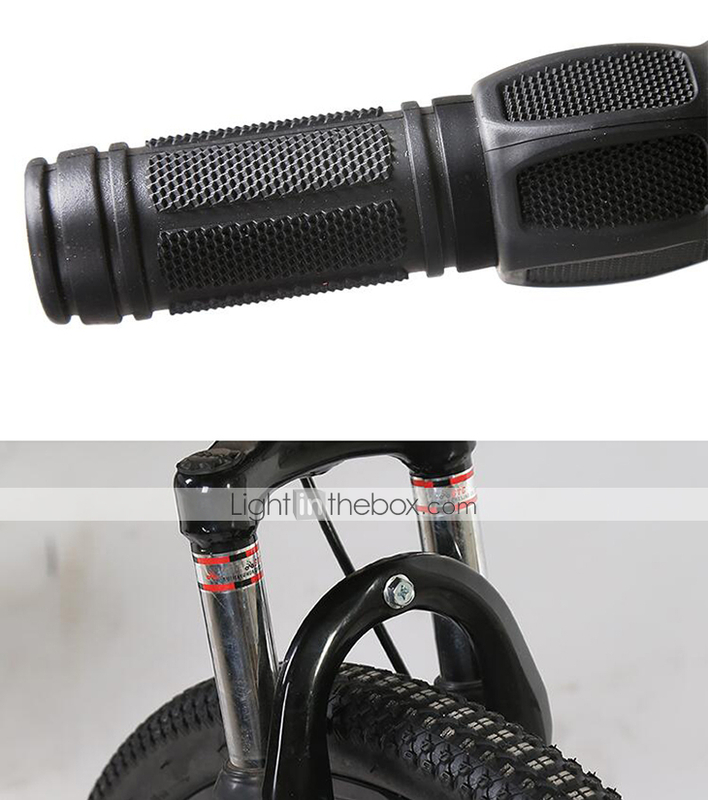 Tighten bolts slightly and measure the distance from each end of the grip to the center of the handlebar. If it needs adjustment, do so at this time before. C) Insert Stem into Stem Tube. 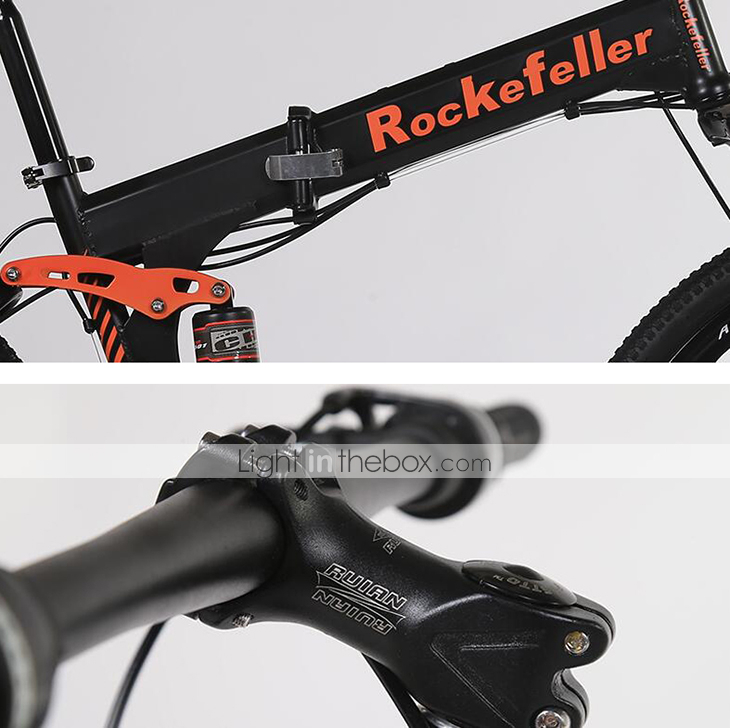 To prevent steering system from losing control, the minimum Insertion Mark on the Stem must be below top of the Stem Tube as shown on Image 6. 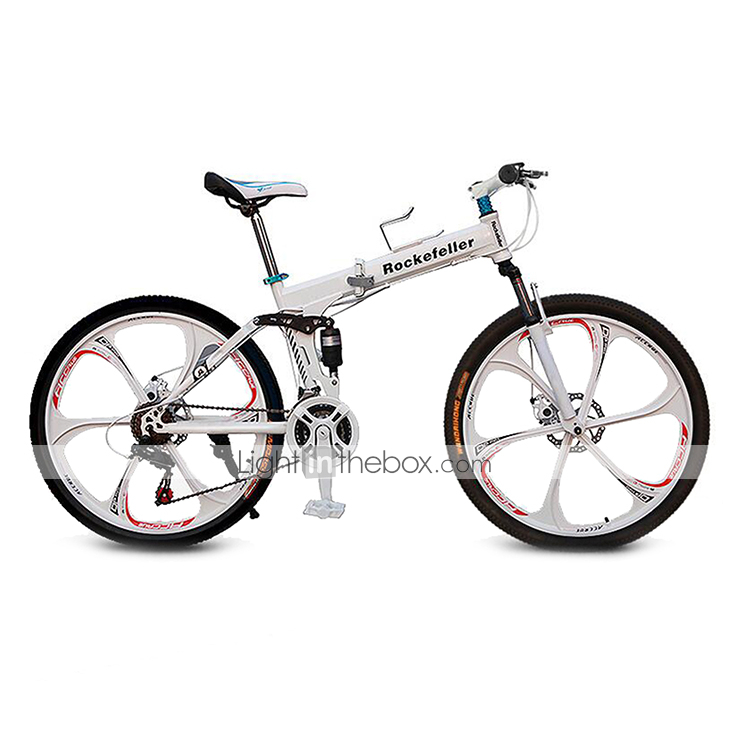 D) Straddle the front wheel between your legs, hold the handlebar and adjust the handlebar at 90-degree angle with the frame as shown on Image 7. 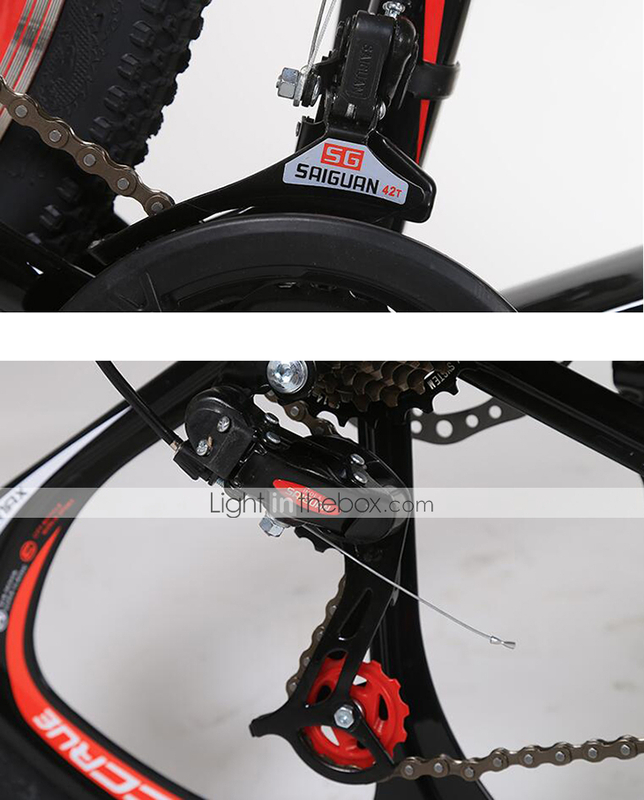 E) Tighten the stem bolts securely as shown on Image 8. A) The right pedal is marked “R” and the left pedal is marked “L” as shown on Image 9. B) The right pedal has counter clockwise threads. Make sure to tighten it in a clockwise direction. The left pedal has clockwise threads. To secure, tighten it in a counter clockwise direction as shown on Image 10. C) Add a small amount of grease on the thread to ensure that it is not stripped and easy to screw. D) Turn the pedal into the crank arm.Make sure the threads of each pedal are fully screwed into the crank arm. 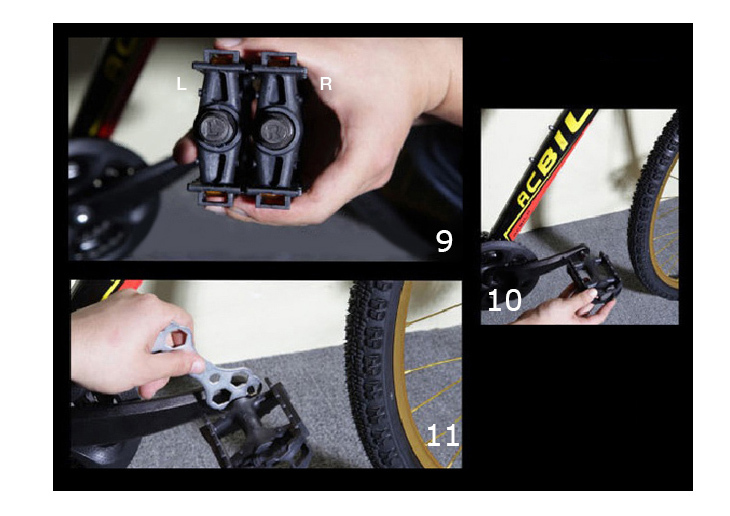 E) Fully tighten the pedals with a wrench as shown on image 11. 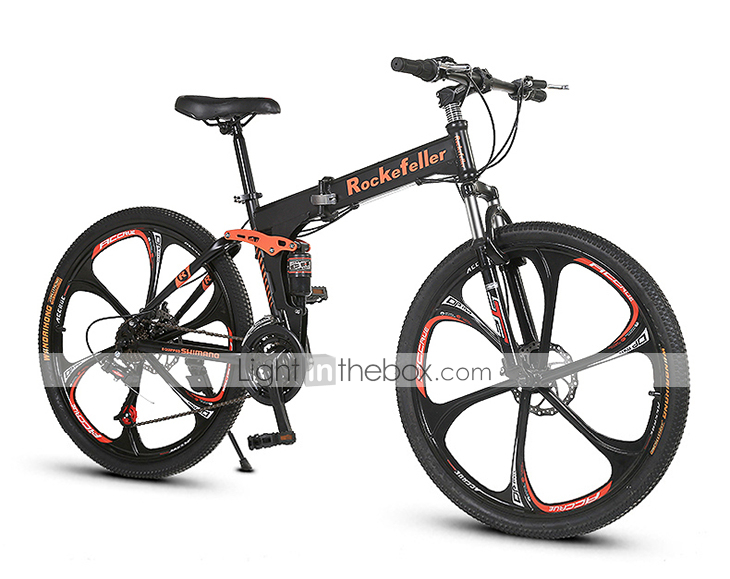 A) Set the front wheel into the front fork. 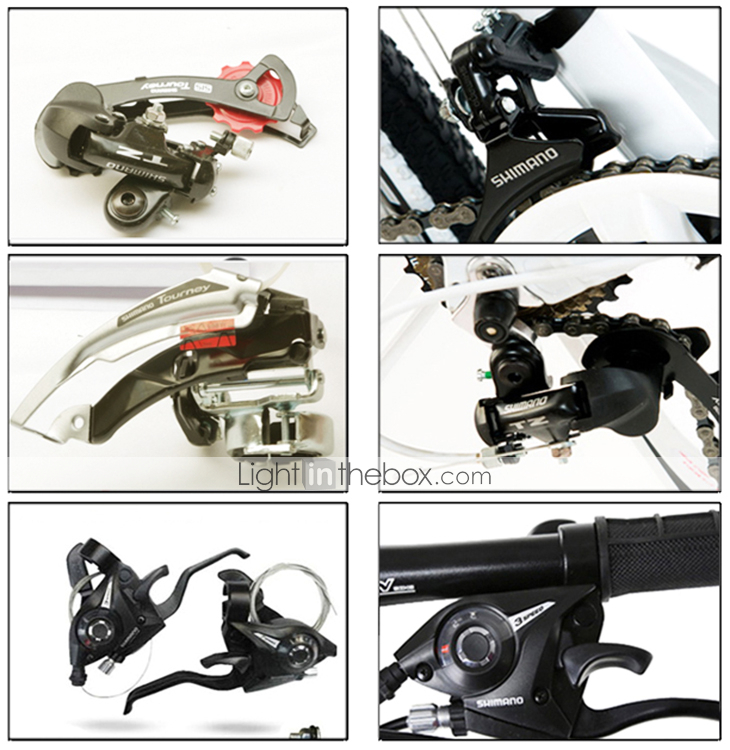 B) Make sure the quick release lever is on the disc side. C) Move the disk side of the wheel to the left side. D) Undo the quick release lever slightly to make room for to secure on drop out. E) Make sure to center the wheel and roll towards the bike frame without touching the sides of the front fork or brake pads. 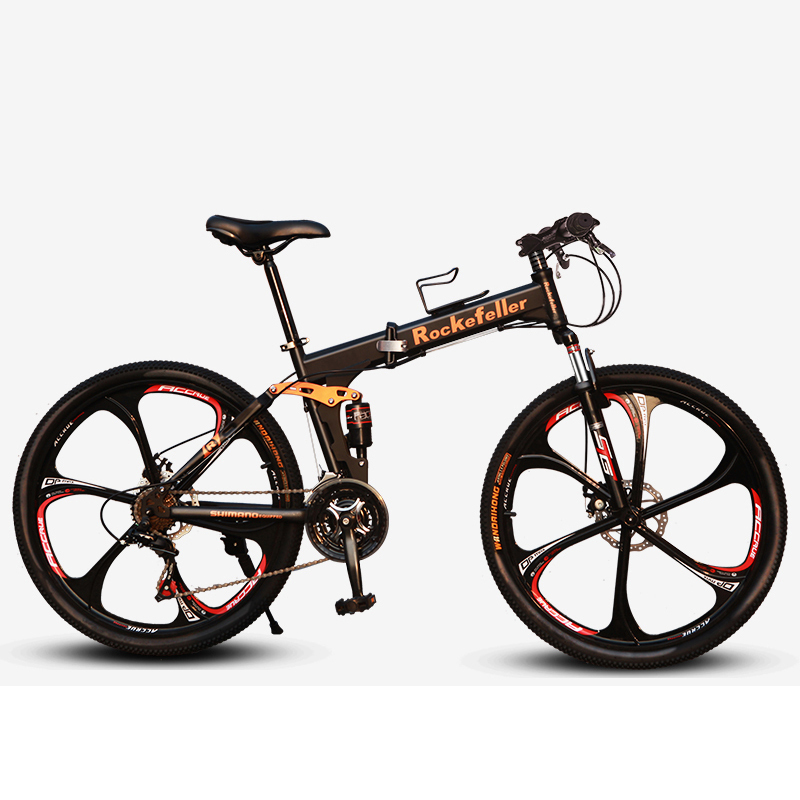 F) Rotate the quick release lever (tighten) and lock. G) Rotate the wheel to make sure that it is balanced. 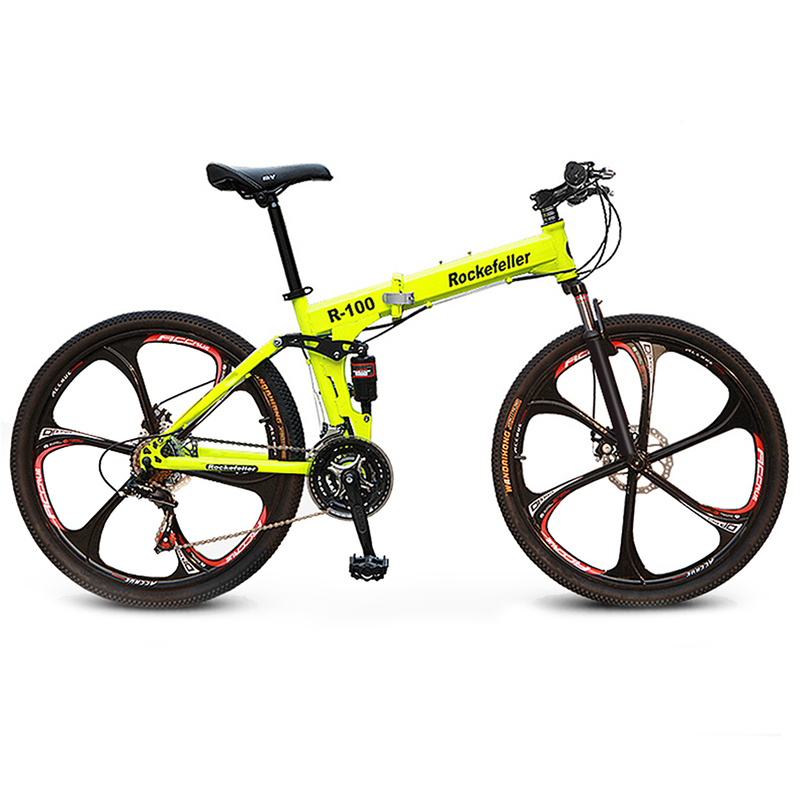 If not, please take the bike to a technician to balance the wheel. 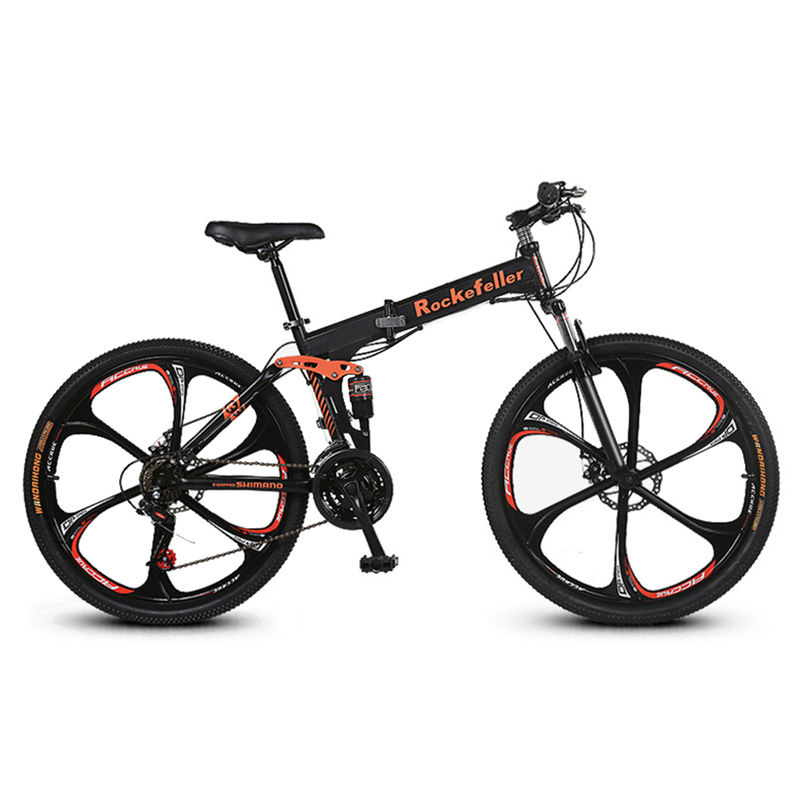 H) Attach the front wheel with the axle nuts. I) Tighten the axle nuts at both sides. Make sure that the chain swings at an amplitude of approximately 15mm by adjusting the screws of the chain. 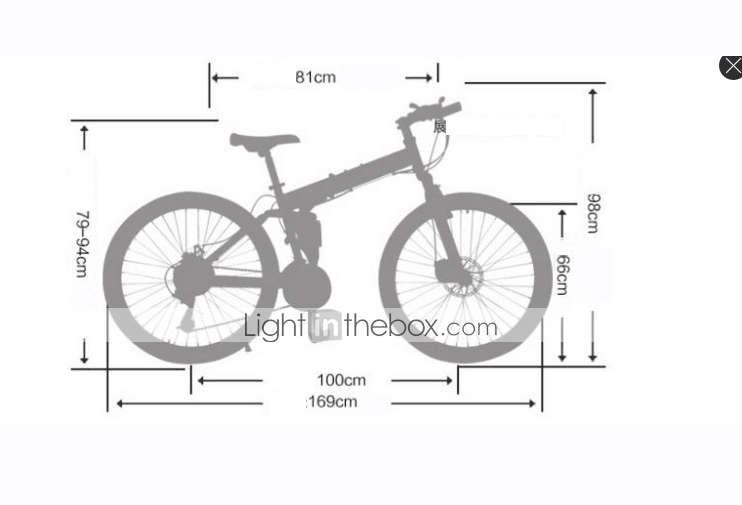 A) Select an area on the frame near the rear wheel on the left hand side. B) Clean with a damp cloth and let it air dry. C) Cut a piece of electrical tape so that it can go around the frame at least twice. 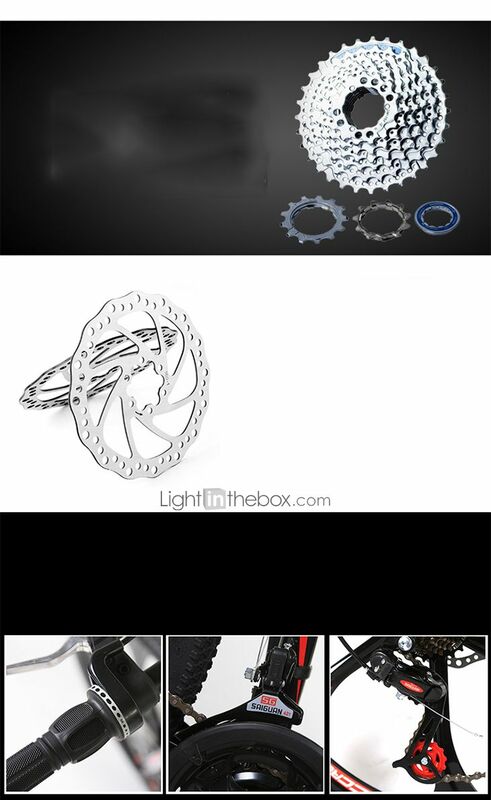 This will ensure that all the parts make a close connection and the bike does not get scratched. D) Tighten the Hex bolts. A) Adjust the front derailleur in advance. a. 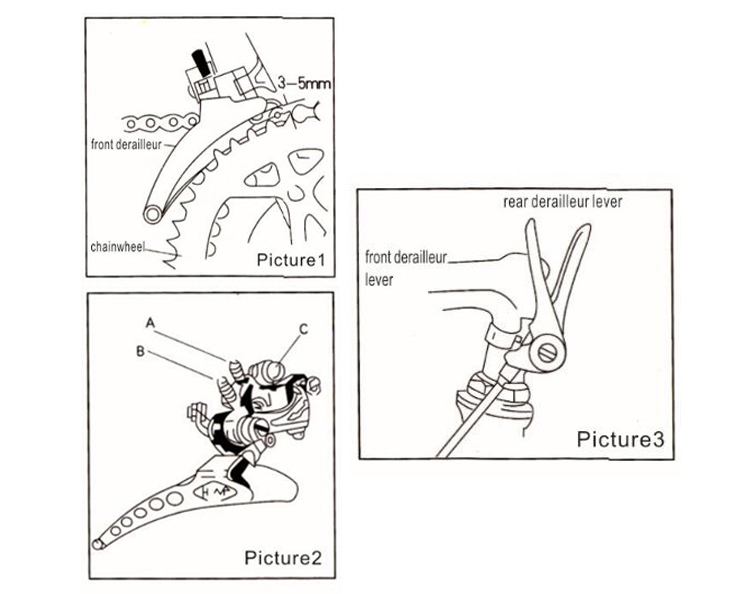 Adjust Screw C to make the derailleur parallel with the chainwheel; ensure to leave 3-5 mm space from cusps as shown on Image 1 and 2.
b. Push the derailleur lever to the forefront position as shown on Image 3.
c. Put the chain on the largest freewheel and little crankset position. d.Adjust Screw A to set the chain in the derailleur. 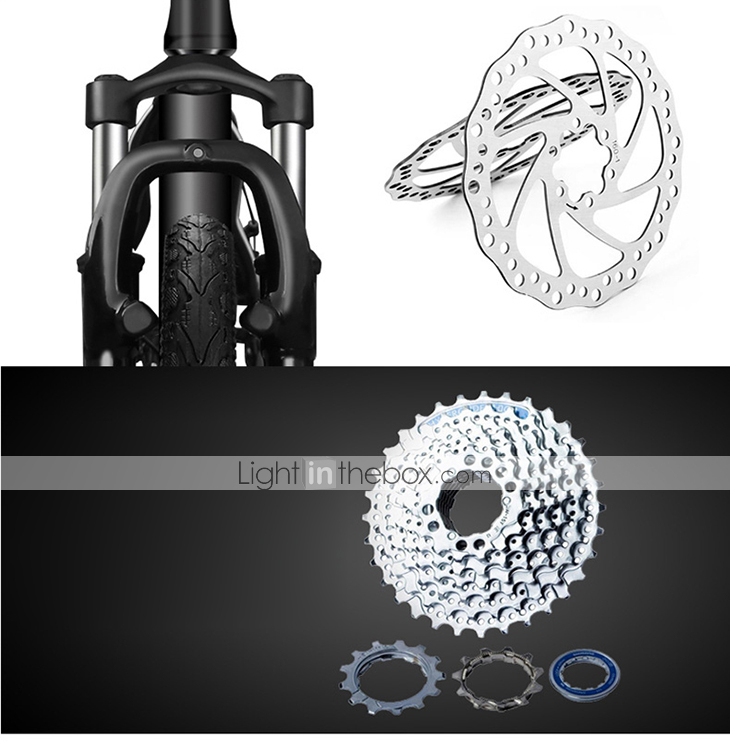 If the derailleur is not able to return to the previous position, then loosen the shift cables and loosen Screw A. After, pull the shift cable upwards to loosen it; follow by tightening Screw A.
e. Push the derailleur lever towards the rear of the bike; then put the chain on the large crankset and small freewheel. Adjust Screw B to set the chain in the middle of the derailleur. a. Tighten Screw A clockwise if the chain slips out of the small freewheel. b. Tighten Screw B clockwise if the chain slips out of the large freewheel. c. Chain jamming may be due to the cable or the derailleur being too loose. Do not completely tighten the lever at this stage. d. Loosening of the derailleur screw may result in the chain returning to the small freewheel. 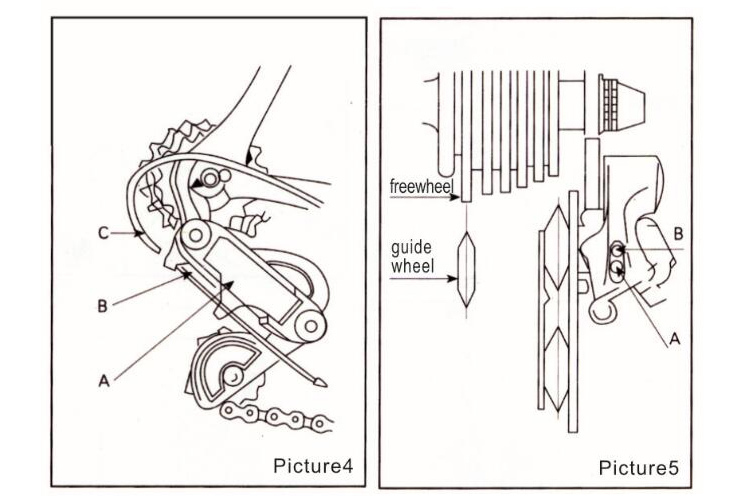 Tighten the lever as shown on Image 4.
e. If shifting is difficult from the small freewheel to the large freewheel, it may be due to the cable freewheel being too tight. 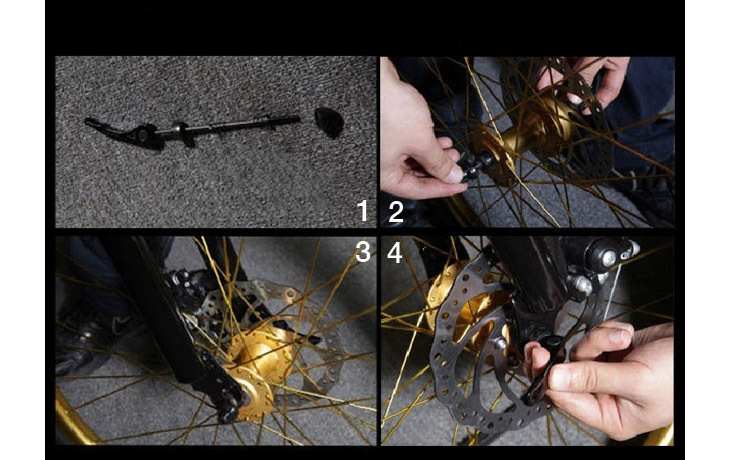 Loosen the derailleur by adjusting Screw C. Make sure that the guide wheel is aligned properly to every freewheel as shown on Image 5. Some models are equipped with an intelligent display unit. c. Close and secure the battery cover. B) Install the Display System as on Image 2. 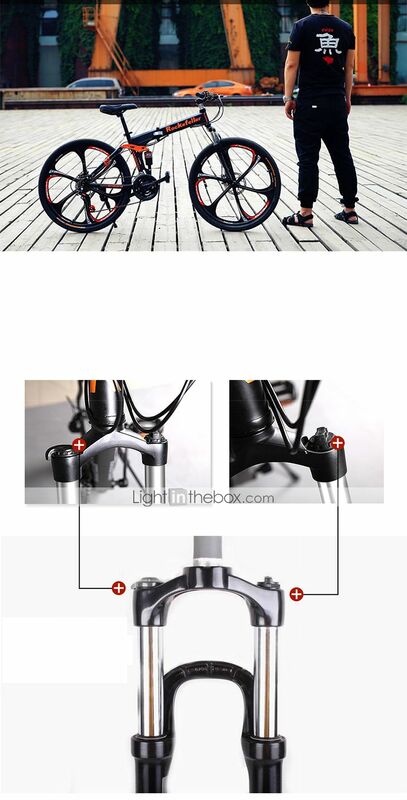 Place the bottom half of the device’s mount on the bike’s handlebar; adjust the position to your preference. Place the top half of the mount. 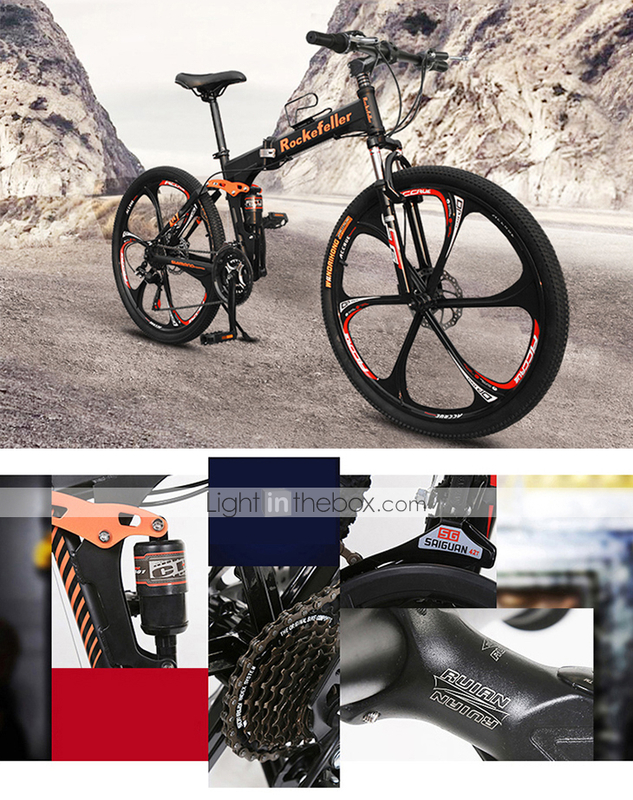 Secure with a hex key – M6. a.Insert a CR2032 battery (positive electrode upward). b.Close and secure the battery cover with a coin/key in a clockwise direction. (Please do not force tightening). a. 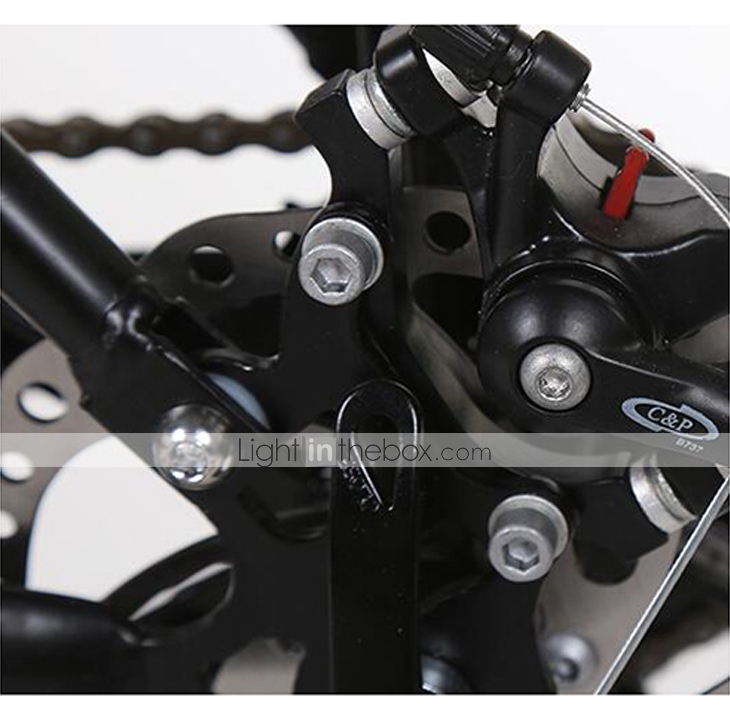 From the front fork, place the sensor facing frontwards with wires going up the fork. Secure with a hex key – M4. b. Wrap a zip wire around the cable and secure towards the back. Do not over tighten for you’ll damage the wire. Clip excess plastic. c. Take the wire up the fork and secure towards the top. d. Begin wrapping the wire around the brake cable housing with a little slack to avoid damage (wrap lightly). f. At the top of the brake cable housing, secure the wire on the brake cable with a zip wire. Clip excess zip wire. g. Connect wires to computer. 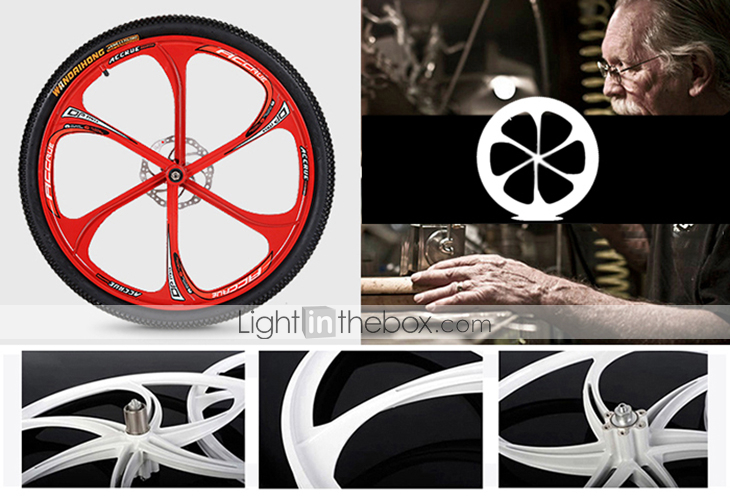 h. Install the magnet to the spokes; line up with sensor. It should be approximately 1-5 mm away from the magnet. Make sure the magnet does not hit the sensor. A) Top cap (A) is used to adjust the headset. B) Pinch bolt B and C are used to adjust the bike head. 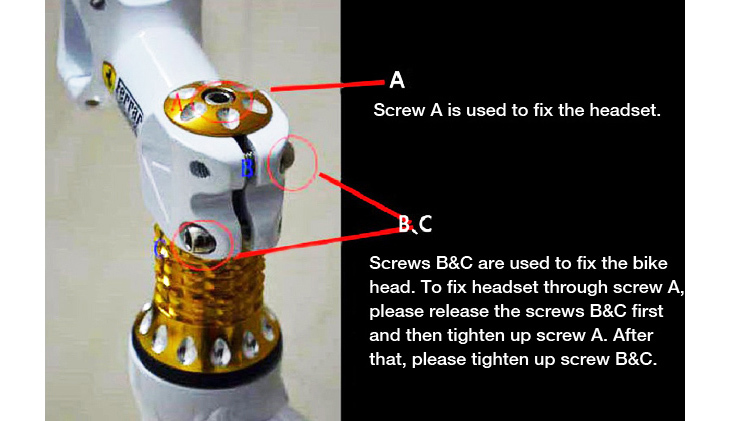 To adjust the headset through top cap A, please loosen pinch bolt B and hex bolt C first. Then tighten the top cap (A). 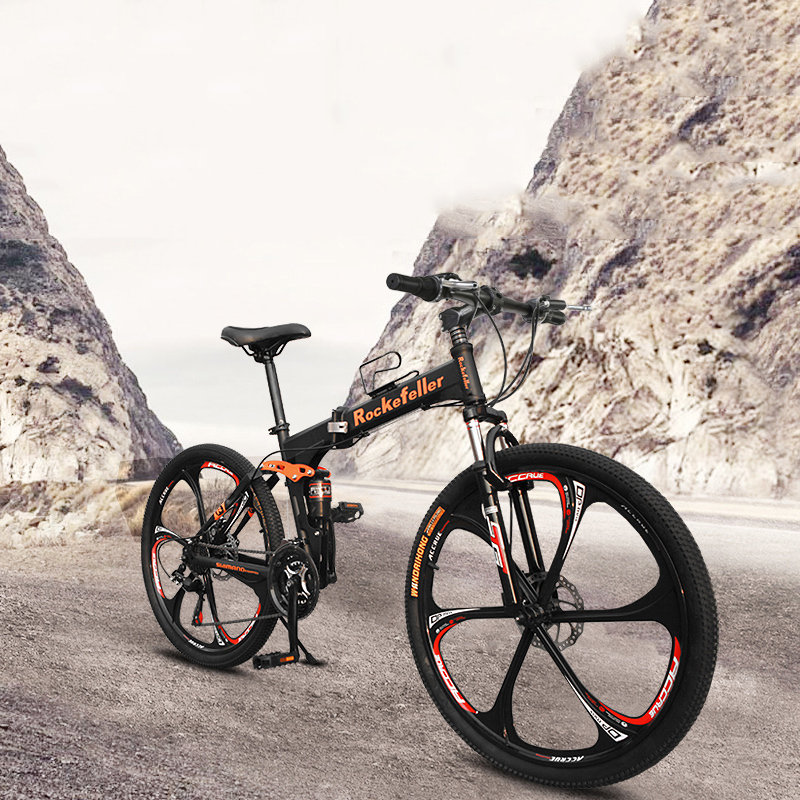 Once adjusted, secure pinch bolts B & C.
In the last, If you’ll’t assemble well with yourself, For better assembly and performance, please have a professional assemble your bike or contact our customer service. We accept payment by Paypal ONLY. Paypal enables you to send payment quickly and securely online. We don’t accept other payment methords. 1.Tracking number will be emailed to you once we have shipped your order. If there is any delay,it maybe caused by bad weather or custom inspection. if you still can not receive the item within 20 Business Days, pls contact us at once. 2.We try our best to make you get desired products as soon as conceivable. 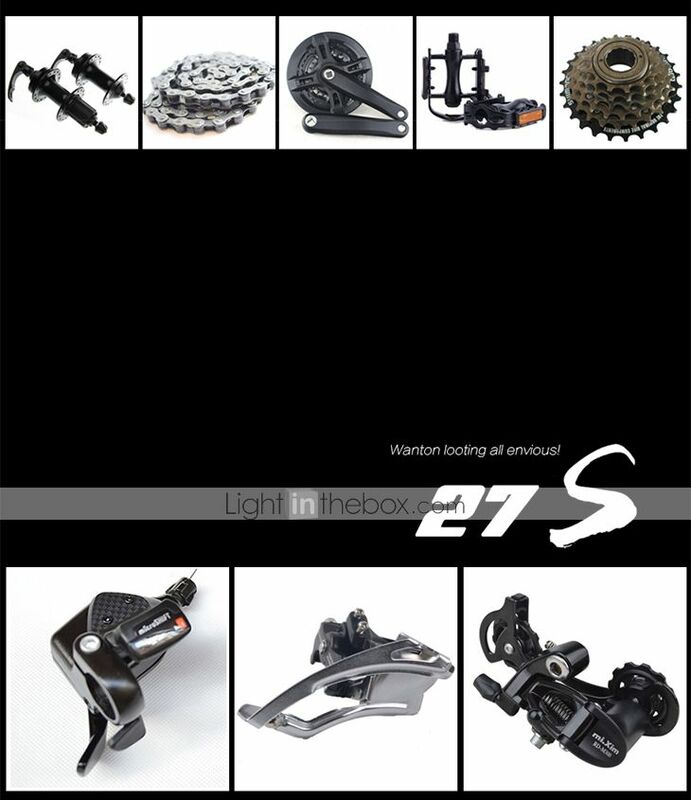 In case you receive wrong products due to shipping error, please feel free to contact us for exchange or refund. if it’s damaged, please refuse to accept and contact us asap. 3.We aren’t responsible for wrong or undeliverable address. Please provide us your full address with tele number and make sure your shipping address is correct and deliverable.if you wish to have to change your address, please change it in paypal first before you pay for it. ●Condition of sales payment should be received within 3 days from the end of the auction. ●All non-pay bidder will be reported. Products without any quality problem can’t be refund. ●Please keep the original package after your purchase and we will be able to appreciate it if you send the item back with the original package. 1.Customer is responsible for the return shipping fee, we will be able to pay for sending the item back to customer. 2.We suggest that ask professional to install products and contact us when installing issue happened. Then again, we aren’t responsible for installing or uninstalling. Our products are all brand new and inspected carefully before sending out.Please check the package before the courier leaves. Attention: Import duties, taxes and charges aren’t included in the item price or shipping charges. These charges are the buyer’s responsibility.Please check with your country’s customs office to determine what these additional costs will be prior to bidding or buying. ●We care about our valued customers and understand the concerns and frustrations you might have, and will try our best to unravel the issues. We strive to answer all emails asap, but due to high email volume it may take time for us to reply.Thanks in advance for your patience! ●Contact us first before leaving negative/neutral feedback or open case,we will be able to find a solution to meet your requirement and enhance the satisfaction. ●Due to some ISP SPAM filter settings, you may not be able to receive our email replies, if you have problems receiving our emails, you may need to use a different email account to contact us. ●During the duty time, we will be able to give you a quick respond, if we are out of work, please kindly be patient and considerable to give us a little more time.